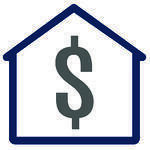 As a LendRIGHT™ lender, we would like to help you make your homebuying transaction as easy as possible. 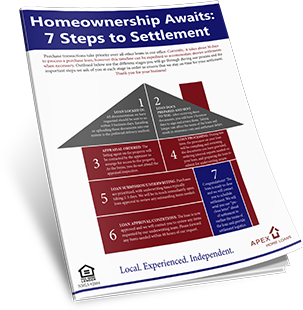 Our Homebuyer Guide is designed to help familiarize you with the basics of the homebuying process. 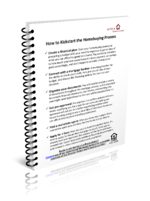 This guide can simplify the homebuying process and help guide you confidently to purchasing your first home. When it comes to buying a home, especially your first home, knowing where to start can be challenging. 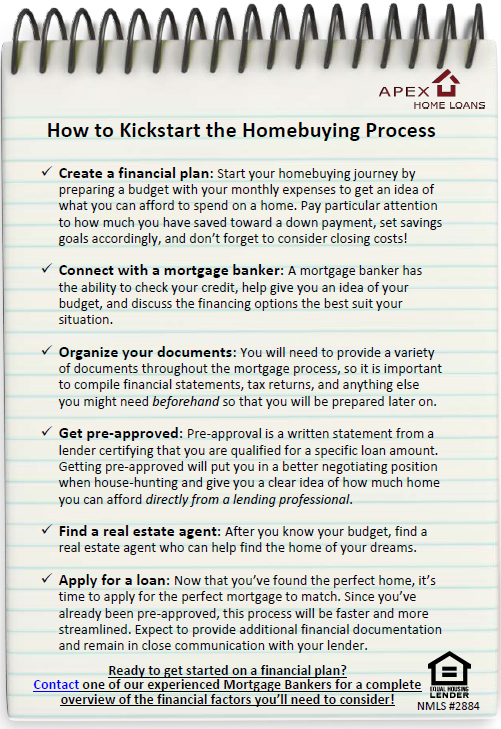 That's why our mortgage experts put their heads together to create this straightforward guide to getting started. With it, you'll be able to avoid the common mistakes homeseekers often make, and you'll find yourself in your new place in no time. Your credit score plays an important role in your financial well being. 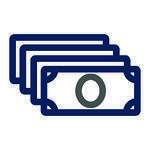 We believe in empowering our borrowers and understand how intimidating credit can be. 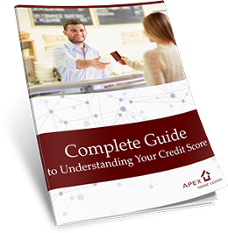 Our complete Guide to Understanding Your Credit is here to help simplify credit and provide you with the information you need to get the most out of your credit score. We are committed to guiding you through each step of the homebuying process to help you gain a complete understanding of the process and all of its components. Title insurance is an important piece of the mortgage puzzle for both the lender and the borrower, so we answered the most frequently asked questions about title insurance to ensure your confidence in the mortgage process. Our commitment to making the mortgage process as seamless as possible doesn't stop with just the services we provide. Homeowners Insurance is required by all mortgage lenders, and it insures your home against the unexpected. 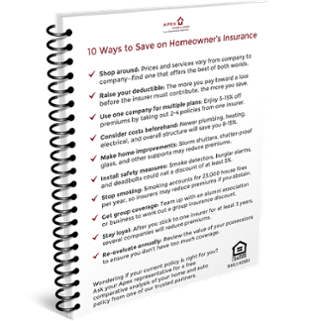 With an abundance of options for coverage and providers, here are 10 ways to save on your homeowners insurance. We're committed to closing clean and on time, every time, which is why we believe communication is key. 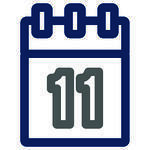 We keep our clients informed each step of the way, and like to be up front about our steps to settlement and what you can expect from the process. These steps will get you into the home of your dreams on time! 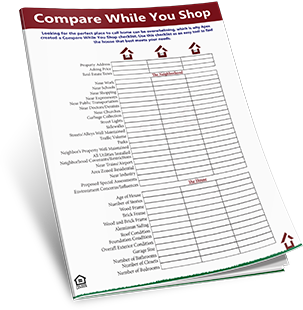 Looking for the perfect place to call home can be overwhelming, which is why Apex created a Home Comparison Checklist. Use this checklist as an easy tool to find the house that best meets your needs. 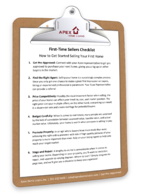 Figuring out where to start when selling a home for the first time? 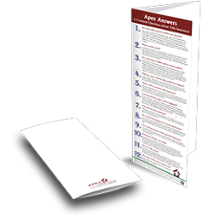 Our checklist lays out the step-by-step process of getting your home on the market, and then provides a complete overview of how you can prepare your property for the sale. You don’t want to miss the sense of accomplishment you’ll feel when checking items of this list, one by one! Organization is the key to a low-stress, efficient move into your new home. 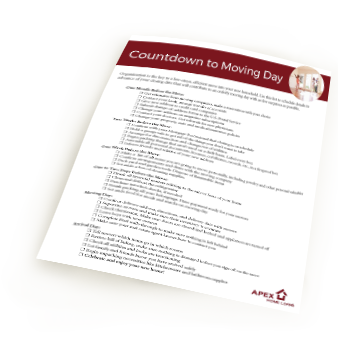 One of the best ways to stay organized is to use our Countdown to Moving Day checklist. Everyone has different needs and priorities, so read this list carefully, then add tasks that are specific to your situation. Knowing exactly what you’ll need to apply for your home purchase is essential. 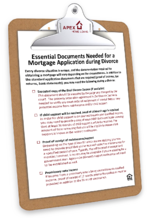 Having the proper documentation up front will shorten your path to homeownership and expedite the underwriting process. 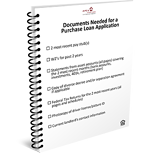 Prepare yourself, save time, and prevent roadblocks with our useful document checklist. 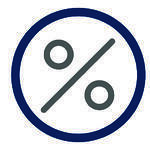 Every divorce situation is unique, and the documentation required for obtaining a mortgage will vary depending on the circumstances. In addition to the standard application documents that are required (proof of income, tax returns, bank statements), you may need the following during a divorce.